If you’ve ever spoken to a bird only to have it talk back, you probably understand that they hold a certain level of intelligence. You may not have realized that talking and mimicry, while impressive, are only the tip of the iceberg when it comes to the skills that birds possess. In the wild, bird behaviors are primarily used as means of survival. Captive birds have it a little different, and while they still have the abilities, they may not have to use them in the same way. In efforts to retain these skills and enrich the birds’ lives, many zoos, rehabilitation facilities, and other similar organizations practice bird training as part of their animal care routine. Here at the Lake Superior Zoo, we are no different. 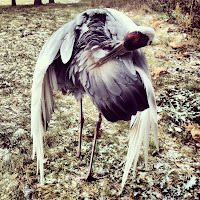 One great thing about our zoo is that we have a lot of birds. Better yet, we have many different kinds of birds. This allows for an extremely diverse, interesting, and educational look at the differences in species and how training should reflect those differences. For instance, we all know parrots tend to be crowd pleasers. Our Double Yellow-headed Amazon, Korbel, is able to speak and perform a number of tasks with her trainer, Lizzy. What you might not understand is how important vocal communication and socialization are to parrot species. One main goal of training is to build relationships between bird and trainer. What better way than with good, old-fashioned conversation? Through fostering this connection, Lizzy can ask Korbel to replicate natural behaviors, complete an exercise, or present herself in a way that allows Lizzy to check her physical condition. Korbel might be the star, but she certainly isn’t the only talented parrot at our zoo. We actively train Alex and Casper (cockatoos), Cricket (caique), and Pico and Sammy (macaws) as well. Of course, the parrots are a colorful bunch, but like I said before, we’ve got a lot of different kinds of birds at the Lake Superior Zoo. This means we also have a lot of different training styles. For instance, you don’t train a parrot the same way as you train a raptor (bird of prey). There are different goals, expectations, and methods used to fully benefit the birds during their trainings. Our raptors are a special case. Most of them are rehabilitated or have been brought to us from less than ideal circumstances, and the differences between the species are very prominent. This means that their training has to be specialized in order to best suit the characteristics of each individual bird. One big difference between parrot and raptor training is the use of equipment such as jesses (ties on their feet) and gloves. These accessories are used to protect both the trainer and the bird, as well as better control the training session. One of the main goals in raptor training is education. For instance, our Education department staff are able to work with Bu, the Eastern Screech Owl, Lady, the Red-tailed Hawk, and Aries, the American Kestrel, in order to teach people about the biology and characteristics of birds of prey. Through training, our staff are also able to construct relationships that ease tension and anxiety when it comes to handling. This allows for easier check-ups and safe, educational opportunities. Now that we’ve touched on the two best known types of training, let’s approach something different. Did you know that in addition to our parrots and birds of prey, we also train our kookaburras and crow? If you’re looking to see something a little different from a bird training, these are a definite must. What’s so different about a kookaburra training, you ask? Well you see, while our parrots and raptors are trained to stay still with perches and special equipment, the kookaburras are fully flighted birds. Their trainer, James, trains them in their exhibit. The majority of their sessions consist of target training and relationship building, which helps to direct the birds around their exhibit and get them accustomed to having a person in their space. This is an extreme benefit to both bird and trainer and serves as a huge advantage in case of emergencies. Corbin, our crow, has a similar training model, though due to being hit by a car, he is no longer able to fly. Being a wild-born bird, Corbin is still not used to people. However, being that he can’t fly, he is unable to be re-released into the wild. Therefore, as part of his rehabilitation, Corbin works with his trainer, Jessica, in order to acclimate himself to guests. He also works with target training and perch movement. This benefits both his health and his livelihood. It’s easy to see why we have so many shameless bird fanatics throughout our staff, and I may be biased, but I mean it when I say that we do have the best birds in town. On a personal note, I’ve been professionally involved with this zoo for almost ten years, and before writing this blog, I watched five different bird trainings. Let me tell you, even after all this time, they are still incredible. Watching the birds demonstrate their intelligence is amazing, and seeing the relationships between bird and trainer is remarkable—especially that heartwarming look of pride after a successful session. But don’t take my word for it. Come see what has our feathers so ruffled. Each training is different and special, and we want you to see why we are so passionate. Our “Oh Fur Fun” animal enrichment schedule changes monthly, but for January-March, you can catch parrot trainings every Wednesday and Sunday at 12:00 and kookaburra trainings every Wednesday at 2:00! If you’re looking to see something featuring Corbin the crow or one of our birds of prey, we encourage you to give us a call! 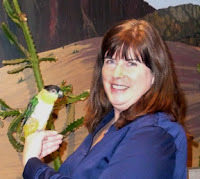 We are more than happy to organize zoomobiles and training sessions through our Education and animal care departments. So on your next visit, I encourage you to spend a little extra time with our birds. Get to know them; maybe have a little chat. I guarantee that before long, you’ll agree with us when we say that bird training is nothing to “bawk” at. I work at a zoo- I can’t believe it! After 25+ years of working in mental health I really was taking things in a totally different direction. Some might argue that it wasn’t that big of a leap. I will be blogging my “steep learning curve” in the hopes that you can have some fun reading about my adventures and learning more about the zoo at the same time. Day Two: 1/15/12 Everything I learned about lemurs I learned from “Madagascar” movies. Peter, the Director of Zoo Operations was kind enough to educate me about the matriarchal society lemurs live in- so actually, “King Jullian” should really have been “Queen Julie Ann”. Over at the “PCC” (Primate Conservation Center) I met Dave and Emily- devoted and talented keepers who were kind enough to show me the wonderful improvements for the animals in the nocturnal exhibit. I was surprised and relieved to find 2 very relaxed foxes (yes, they were the same ones that in the “old days” that would pace incessantly). Changes to their exhibit and diligent work by the keepers had helped calm their anxieties. So much so, that these foxes had given birth to two kits that they raised to “adulthood”. Quite a feat! Day Three: Zookeepers are artists. Yep. It was surprising to me as well. Take the new Gila Monster exhibit for instance. 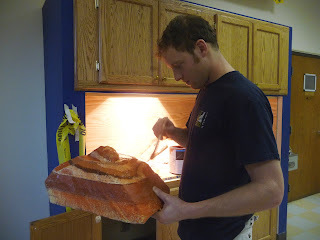 James is working on creating a visually appealing exhibit that is also pleasing to the Gila Monsters. A fair amount of consultation on color, texture and design occurred today as James was working on creating the rocks for the exhibit. It seemed that opinions were plentiful and I had a great view of the activity from my office. At the end of the day I stopped by to check it out for myself. Not bad for a guy who is more passionate about hatching Peeking Duck eggs than forming, shaping painting fake rocks out of high density foam. 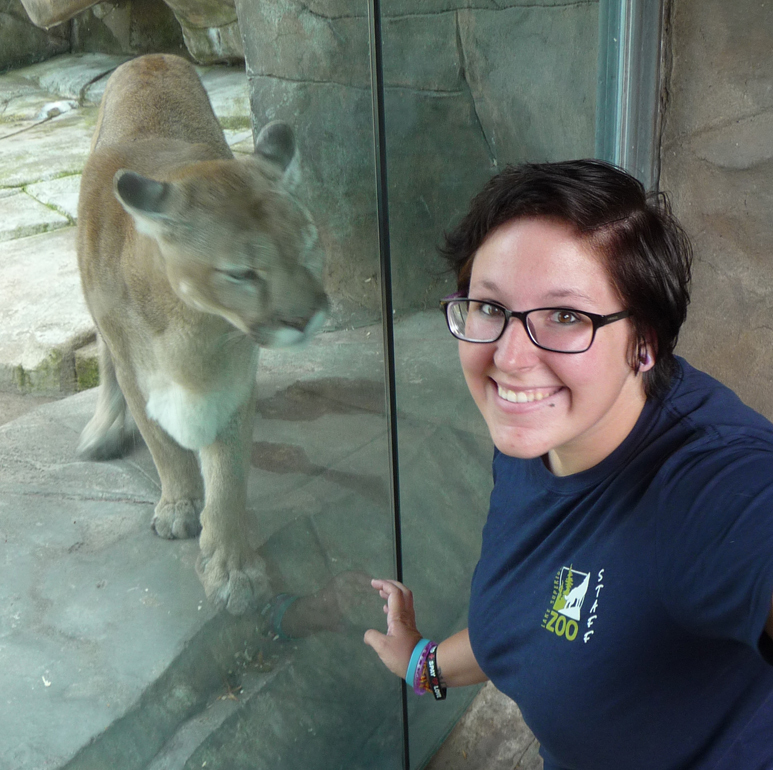 Day Four: Peter, our Director of Zoo Operations made the announcement on the two way radio system- “Attention All Staff- Berlin will be going on exhibit this morning at 9:30 at her new home at the Kansas City Zoo. You can see her live on their bear cam.” Here’s the link: http://www.kansascityzoo.org/ . Ahhh- I love technology! I couldn’t log on fast enough. After stumbling around on the big world wide web I found it. Sure enough, there she was! I got goose bumps and even a little tearful. Next: spread the good word. I had the opportunity to write a short press release. My original title was “Lake Superior Zoo’s Berlin Goes On Exhibit”. Our Education Director Sarah kindly stopped by after receiving my emailed version and said, “Kim, you may want to make a change to that title. People might get confused and think that Berlin is back here and on exhibit if it wasn’t read carefully.” She’s one smart lady. 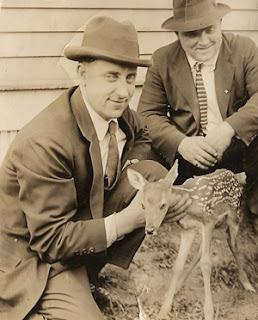 The press release was edited to read “Lake Superior Zoo’s Berlin Goes on Exhibit in Kansas City”. Much better. Thanks, Sarah. And just in case you’re wondering, so far today no one has asked to visit Berlin. Day Five: I knew it was going to happen sooner or later. It took a 4 ½ days and I’m not sure if I should be disappointed or pleased, but I’m interesting to look at! Well, at least I was for about a half a minute to at least one little boy this afternoon. My (small) office has 2 windows that open up to the lower level of the main building. I am the first person to use this office that has opened the blinds. It’s like I’m on exhibit. Talk about a learning experience. I made eye contact with my admirer. Then I surprised him by putting a big-eyed stuffed tree frog up to the window. He laughed. So did I. It’s the little things that can bring joy. My “Week One” is wrapped up. I can say with certainty that I’ll show up again on Monday. Good place. Great people. Awesome animals. Happy Friday, everyone! Aah, February… a time of love and longing framed by the bracing chill of winter’s peak. 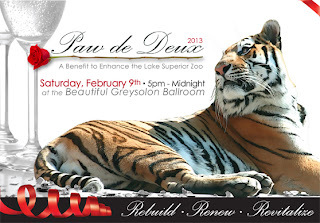 What better way to warm your hands and heart than by supporting the zoo in its 5th annual Paw de Deux gala event? Join us on February 9th for a thrilling evening of both silent and live auctions, not to mention the divine drinks, dining, and dancing that the evening is promised to bring. This year’s Paw de Deux will be held at the beautiful Greysolon Ballroom in Downtown Duluth. As you peruse the hundreds of auction items, be sure to enjoy complimentary champagne and martinis. 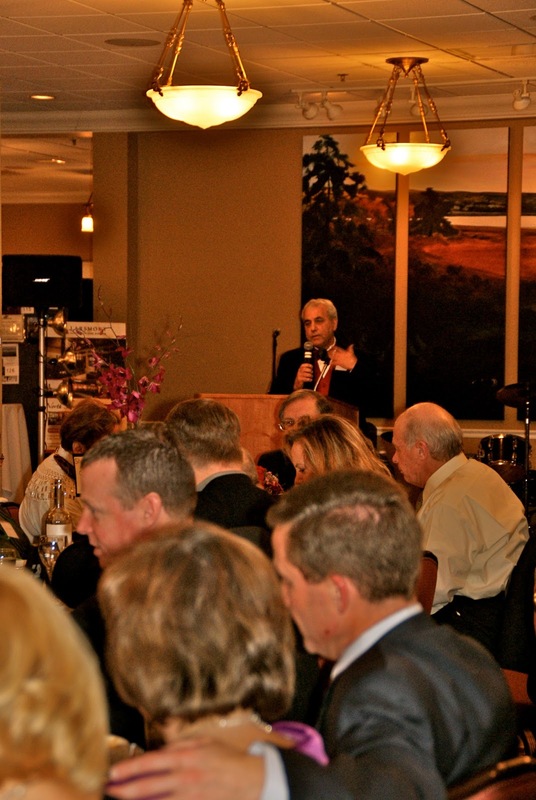 After, you will be treated to a gourmet dinner followed by our live auction. Once the food has worn off and the drinks have kicked in, we invite you to bust a move and dance the night away to the musical stylings of the Pot Bellied Stallions. After all, Paw de Deux does translate as a dance for two! Last year, Paw de Deux’s 180 guests wined, dined, danced, and donated their way to over $41,000 for the benefit of the zoo’s Pavilion Renovation Project. This year, all funds raised will go towards efforts to Rebuild • Renew • Revitalize the zoo after the flood we faced in June. What’s up for auction, you ask? We will have an amazing array of items ranging from the finest local art to exclusive zoo-themed experiences, elegant getaways, exquisite jewelry, fantastic dining and entertainment packages, superb services and specialty items, and more! Tickets start at just $100 and are on sale now at www.lszoo.org or by calling the zoo at 218-730-4500 ext 203. Space is limited, so be sure to reserve early! If you’re looking to bring a group, make sure to read about our sponsorship levels. Each tier includes spectacular benefits including special behind-the-scenes tours with our animals and more! So break out your finest gowns and very best suits! We can’t wait to see you on February 9th! When looking out over the Tiger Deck fence, it’s nearly impossible to remember exactly how the zoo looked on the morning of June 20th. What once appeared to us as unspeakable tragedy is now all but erased by the frozen creek and snow-covered grounds. December 20th marked the six month anniversary of the flood that devastated our community. Here at the zoo, we are reminded on a daily basis of the hardship felt this summer. I doubt that will change anytime soon. And yet, the days do get easier. We look to the future with optimism and hope, and we rejoice in the fact that though the road has been difficult, we have made serious progress. One major project that we’ve completed since the flood is our new barnyard. This area was severely affected by the storm, the results of which were devastating. In the past six months, the area has all but regained and surpassed its former glory. With the addition of two Shetland sheep, three Babydoll sheep, a Pygora goat, two Pygmy goats, three Nubian Alpine goats, and one very lovable llama, the barnyard has come alive with new life. Aside from our new barnyard friends, we’ve also added in a chicken coop (painted by volunteers) and a duck pond (built by an Eagle Scout). While our chickens and peafowl will rule the roost over the winter, our Pekin ducks are due to move in for Spring. Another development that has been an ongoing process over the past six months is the refurbishment of zoo grounds. Being that 2/3 of the zoo was consumed by flood waters, (some areas remained under water for several days) getting things back to normal has been a chore. Over the summer, we planted new sod grass in heavily damaged areas like the playground. Towards the end of the summer, we were able to make the path by our deer and wolf yards clear and usable. An ongoing task that has already started and will continue to be worked on throughout the winter is the dredging of Kingsbury Creek. During the flood, 3 feet of sediment was washed down from over the waterfall, causing major blockage and filling. In order to naturalize its flow and minimize the possibility of future flooding, the creek is in the slow process of being cleared. Here at the zoo, things are looking up. We’ve got all the support and hope in the world driving us forward, and we can’t wait to see what this next year will bring our way. Granted, some days are better than others. Grief and loss are experienced differently by every person whom they meet. The process of overcoming such obstacles is not a linear progression, and through the waves of sorrow and optimism, it is vital to realize that your own model for improvement can and will be different from your fellow sufferers. What’s important is to recognize that it’s perfectly appropriate to take things at one’s own pace, but also to defer to 4hopefulness and determination in times of struggle. Number 5: A naturally quaint and picturesque landscape! What better place to appreciate the beauty of winter than at the Lake Superior Zoo? Watch with wonder as snowflakes, dreamy and quiet, fall slowly down to earth. With glazed trees glistening and frosted stones sparkling, the zoo makes a perfect outing for families, lovers, and friends alike. And don’t worry: we take extra precaution to ensure that our pathways are as ice-free as possible! Number 4: End of the season admissions rates! As a special treat for all of our wonderful supporters who brave the cold to visit us this winter, we are extending our end of the year rates until the end of January, 2013! Enjoy all the benefits of the zoo at a discounted rate! Children’s rates (ages 3-12) will be $4, adults (ages 13-61) will be $8 and seniors (ages 62 and older) will be $7. Remember, this special will only last through the end of January, so be sure to visit soon! If you’ve visited us in the summer, you may have been frustrated by busy exhibits with limited viewing space. Winter time is exactly the opposite! Most days are very quiet and allow for extremely personal, one-on-one experiences with your favorite animals! Strollers are readily available, daily enrichments are scarcely attended, and exhibit windows are all but unoccupied, leaving you free to take your time and enjoy all that our zoo has to offer! Number 1: The animals LOVE winter! What other reason is there? The melted cats and droopy bears of summer transform into wildly lively and playful characters. Experience the thrill of being stalked by a snow leopard; hear the howl of our wolves as they chase and prowl; feel the exhilaration of being charged by a tiger. Even our lions like colder weather! The truth is, most of our large animals come from colder weather regions and are more active in cooler temperatures. Still, even the big guys sometimes get cold, and to help offset the chill, each large carnivore has a heated rock placed within their exhibit. In cases of extreme cold, indoor holdings are left open for the critters to soak up some warmth. In fact, the only animals that remain off exhibit during the winter are our red kangaroos. They like to play in snow, but only on their terms, so you’ll have to wait until temps hit 50 degrees. There you have it! Five reasons why we wouldn’t choose any other season to visit the zoo! With a beautiful setting, lower admission rates, a lack of crowds, and active animals, what more can you ask for? The zoo is open from 10:00-4:00 daily (last admission is at 3:00PM), so break out those boots, hats, mittens, and scarves and come on down to the wildest place in Duluth! The Holidays are peculiar time of year. We are encouraged to spend time with our loved ones, invited to partake in holiday cheer, and expected to keep up (both physically and financially) with the ever burgeoning standards of the Hallowthankschristmukkah shopping season. Here at the zoo, we try to put our best foot forward and offer our friends, fans, and supporters the very best in animal-related gifting. That being said, it is also imperative to us that our merchandise falls in line with our mission as an AZA (Association of Zoos and Aquariums) accredited facility. Luckily, we have a plethora of products and services that are both unique and earth-friendly. If you’ve been through our gift shop, you may have come upon our Fair Trade wall. On it, you’ll find products from all around the world that geographically relate to our animals. As far as adult-aimed holiday gifts go, the Fair Trade wall is your golden ticket. Harry, the Snow Leopard, encourages you to buy a beautiful Snow Leopard Trust hand bag, centerpiece, or ornament. The Snow Leopard Trust is a non-profit organization intent on preserving natural populations of snow leopards and people native to their habitat. Georgie, the two-toed sloth, and Jeeps, the kinkajou, implore you to check out our one-of-a-kind, hand-carved tagua nut animal figures from ef*ivory. These figurines are made from all natural tagua nuts which have been deemed as an “elephant friendly” ivory substitute. Our two lionesses, Lily and Malkia, told us to tell you to take a look at jewelry from the Leakey Collection, and the scarves, bandanas, and coin purses from Global Mamas. Both companies seek to help villages of women in various African countries. If you’re looking for something a little more personal, be sure to ask about Critter Creations. Many of our animals enjoy creating artwork. It serves as enrichment for them and creates exceptional pieces of art for us to share with you. In addition, we are also able to periodically take nose and paw prints of some of our large carnivores. This is typically only possible when the animals are anesthetized for medical purposes, so these pieces are only made about once a year per animal. Each piece is matted, framed, or on canvas and comes with the name of the animal written on the artwork. Supplies are limited and going fast, so if you’ve got a particular critter in mind, be sure to ask! 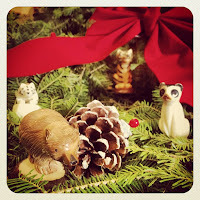 Another great option for a Lake Superior Zoo-themed gift is our ADOPT program. If someone you know has a special attachment to one of our animals, why not give them the gift of a symbolic adoption? Our ADOPT packages start at just $35, and all proceeds go to the benefit of the intended animal. This can include food, treats, toys, and more! For a list of ADOPT benefits, visit http://lszoo.org/adopt.htm. We’re not all about material things here at the zoo, and we have several gift options that focus more on the experience. For starters, we are currently holding a Holiday Membership Drive through the end of December. This is the perfect chance to give the gift of unlimited zoo visits to your friends and loved ones! 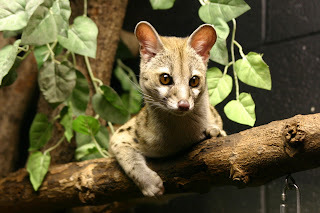 In addition to the usual year-round perks, each holiday membership (new or renewed, gift or personal) comes with a holiday perk pack filled with extra incentives (for a full list, visit http://lszoo.org/member.htm)! Does your intended recipient already have a membership? That’s ok! You can piggyback your gift onto their existing membership term and keep the zoo love flowing for years to come! You might be asking yourself, “How do the animals spend the Holidays?” Well, aside from their typical daily care (and maybe an extra treat thrown in here or there), we have the annual tradition of our Wish Tree. 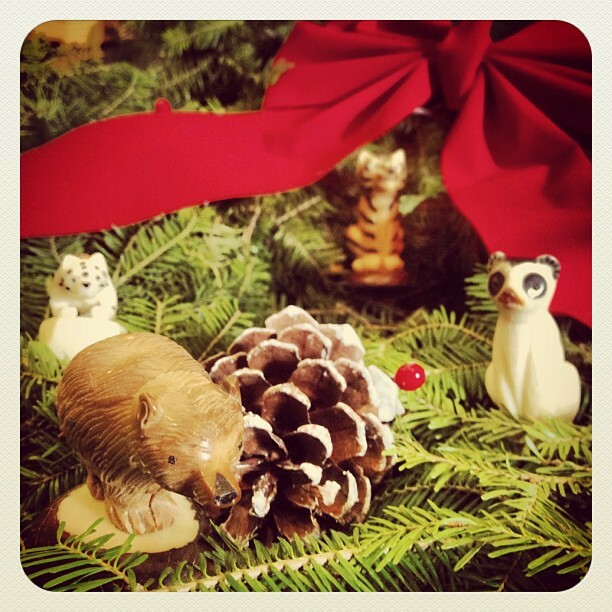 Located in the Tiger’s Paw Gift Shop, the tree is filled with ornaments detailing each animal’s holiday wish. Be it boomer balls for the barnyard, puzzles for the parrots, tires for the carnivores, or even just a gift card to Super One, Menard’s, or Petco, each gift ensures that your favorite animal will have a very happy holiday season. The Wish Tree is active through the end of the year, so be sure to stop in and grab your ornament soon! Ok, ok. We know it’s not all about us, and if you find yourself looking towards the bigger picture this Holiday season, we encourage you to embrace the following animal-related charities. Whether it’s a symbolic animal adoption, a tribute donation, or a handmade gift, each of these organizations feature products and services that suit both adults and children. As previously mentioned, the Snow Leopard Trust is an organization for the preservation of snow leopards and surrounding human populations. In addition to their amazing handmade crafts, the organization also encourages its supporters to make financial donations to their cause. Money donated goes towards the safety and tracking of wild snow leopards around Kyrgyzstan, India, China, Pakistan, and Mongola. To learn more about their efforts, visit www.snowleopard.org. Another organization that hits close to home is Bat Conservation International. This non-profit targets bat populations around the world and tackles major issues like the spread of White Nose Syndrome. Donating to their cause not only benefits bats throughout Asia and Africa, but also the ones right in your back yard. Your support of their research not only helps save the lives of millions of bats, it ensures the survival of local ecosystems as well. Visit www.batcon.org for more details. If you’re looking for a broader spectrum, visit www.savenature.org. This organization (the Center for Ecosystem Survival) strives to protect habitats for both land and water-dwelling creatures. By adopting a portion of protected land, you can save thousands of different animal species. And we’re not talking about symbolic land, here. They really do buy the space and ensure its protection. Two other highly recommended resources include the Defenders of Wildlife (www.defenders.org) and the World Wildlife Fund, or WWF (www.worldwildlife.org). One last tidbit before we wrap this up (wait for the pun). Let’s talk about how to give these gifts sustainably. Store bought paper is bright, shiny and fun, but it’s also incredibly wasteful. Some types can’t even be recycled. Here are a few hints on how to minimize holiday trash: Wrap with comic strips or newspaper. This is a tried and true method for re-using discarded newspaper. It’s guaranteed recyclable and interesting to look at. If you have old calendars or wallpaper, you can do the same. Let’s give those retired wares one last hoorah. For smaller items, try making a box from origami paper, calendar paper, or construction paper. Box diagrams are typically simple, bright, fun, and re-usable. Lastly, instead of bows and ribbon, trim your presents with natural decoration. Pick pinecones, branches, berries, twigs, or anything else that you can tie together. We know how many of you and yours appreciate the great outdoors, and it really does add that personal touch. So, when you’re decking the halls and spreading cheer this holiday season, be sure to keep us (and our affiliates) in mind. Your financial contributions to both our organization and the others listed will undoubtedly the lives of those whom the gift benefits as well as make an amazing, one-of-a-kind gift to the recipient. Each of these gifts has the opportunity to plant the seeds of knowledge within its recipient’s subconscious. Maybe next year, they’ll be the one buying land in the rainforest and adopting a snow leopard. And one last note: be sure to wrap that present with love. After all, zoo gifts always look better when given green.